Patient Portal – Did you know? Imaging is the ”eye” to see inside of the body. It plays an important role in helping doctors detect injury, disease and abnormalities. 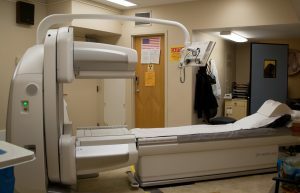 Because so many diagnoses are dependent on obtaining a good look at what’s going on inside your body, Orleans Community Health provides a full spectrum of imaging services with the latest technology. Combine this with a friendly, professional staff and a convenient location, and you can see why the choice for radiological testing is Orleans Community Health. 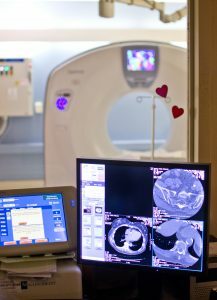 Many imaging procedures require advance preparation, and therefore need to be scheduled. While we do our best to accommodate unscheduled patients, it is recommended that you make an appointment. Normal hours of operation are from 8:00 am – 4:30 pm, Monday-Friday, with emergency testing available 24 hours/day. For your convenience, please ask about evening and weekend availability. To make an appointment, call 585-798-8054. All patients must register at Patient Registration before procedures are performed. Your doctor will receive a report of your test from a radiologist. If your doctor asks you to request actual films to take to his office, please allow 24 hours. Our commitment to providing excellence in patient care and service is demonstrated by a number of accreditations by independent organizations whose standards demonstrate quality and excellence in Imaging Services. Orleans Community Health is recognized as an “image gently” facility by the American College of Radiology (ACR) for our Computed Tomography (CT) department. This means we significantly reduce the dose or “child size” the dose of radiation when imaging pediatric patients. Orleans Community Health is also accredited by the American College of Radiology (ACR) in Mammography, Ultrasound, Computed Tomography, and Nuclear Medicine. These voluntary accreditations demonstrate that Orleans Community Health has made a commitment to meet nationally recognized standards for quality and to continually seek excellence in its services and programs.